A legend of the game reveals some of his trade secrets and shares some fond, unforgettable memories. Headliner Editor Paul Watson: Your career speaks for itself, but first up, how did it all begin for you? 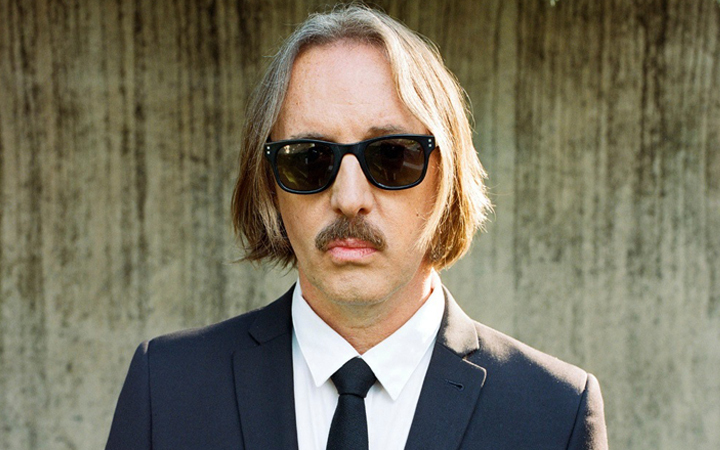 Butch Vig: Well, I played in bands in high school in a small town in Wisconsin, and then I went to University in Madison. I started getting into the local music scene, and joined a band, which was sort of a power pop, new wave band called Spooner; and Duke [Erikson] from Garbage was the guitarist and lead singer at the time. I also got a degree in film, and ended up doing a lot of music for film; a lot of synth, and abstract music, and that’s where I kind of got the recording bug. When I started Spooner with Duke, we were into our music and wanted to record, but we didn’t have any money, so we started going into some funky demo studios – four- and eight-track studios – and I just took an interest in the recording. I eventually got a four-track and put it in my apartment, and ended up doing sessions with Steve Marker, just for fun; and when we graduated from college, I was still playing in a band, but I decided to invest with Steve, and we rented this space on the east side of Madison, and that’s when we started Smart Studios in 1983. We each saved up about two grand, bought an eight-track, got a bunch of used gear, and moved into this funky warehouse and started recording punk rock bands [smiles]. And with no formal training, right? I’d taken four semesters of electronic music, but that was really learning how to use Moogs and ARP 2600 synthesizers. I learned how to do field recording, going out into the real world and recording sound, and taking it back and manipulating it, like abstract film sound music. I found that really exciting, and I still love weird noises and odd things, which I try to squeeze into Garbage songs all the time. How did you make a name for yourself in the early days? It was around ‘89/’90 that I started to get noticed for my production work, in particularly by a band called Killdozer; they’re an acquired taste, but [Smashing Pumpkins frontman] Billy Corgan heard them and loved them, and called me; and then [Nirvana’s label] Sub Pop heard them, so they sent Nirvana to my studio. Really, Killdozer really opened up all those doors for me, and of course Nirvana and the Pumpkins changed everything, and that allowed me to pick and choose my projects. That was around ‘91 and ‘92, and I was unbelievably busy. At that point, when Nirvana and The Pumpkins had been successful, I had probably done 1,000 records, working for indie labels, doing singles, demos, all sorts. I was kind of bored of guitar, bass, and drums, and I’d heard the Public Enemy records, and really loved the way that they were using samplers, so I bought an Akai S1000 sampler, started screwing around with that, and came up with the idea of using that on remixes. This led to me remixing for Beck, U2, Depeche Mode, and Nine Inch Nails; I would erase everything on the tape except for the vocals, and record all the music, and a lot of it was going through the sampler, so I could manipulate it. That was how the idea to form Garbage came about. I remember watching you trigger samples back in 1999 at a Garbage show at UCSD… I was in the mosh pit! [Laughs] That’s cool, man! Yeah, I mean, it was just a cool way to do things; you could move things around, filter things, cut things up, run things backwards, and it sort of frees you up, you know? At the time, I was working on analog tape, and there are certain limitations in ways you have to record with that, and the sampler made everything feel free. Garbage was really one of the first bands that embraced using the technology that way; the first record was still done with tape, but we had a couple of samplers, an Akai S1000 and a Kurzweil K2500, and a lot of things went through those; we used beats, hip hop, electronica, fuzzy guitars, weird noises, pop melodies - a lot of electronic and programming. It did. When the first Garbage record came out, because my name was attached to it, a lot of people expected it to sound like Nirvana or The Pumpkins – grunge or alternative rock – and I think they were shocked at how different it sounded. One of the reasons that we were able to find such success was finding Shirley Manson. She is an incredible singer and a great front-person; she has become the face of Garbage, and rightfully so, because she is amazing. Garbage was really a reaction to all of the bands after Nirvana. The record companies signed a thousand bands that they were hoping would sell records like Nirvana, and I felt I had to do something that made things more interesting for me again, hence the samplers. That’s why I started Garbage, which is all about writing pop songs. We love using the studio as a canvas and as a tool, and it’s liberating for me. If you listen to our body of work, a lot of our songs sound completely different, and the glue that holds us together is Shirley’s singing; luckily, she’s got a very strong presence, and that really allows us to do what we do. How would a record like Nevermind have sounded if you had the technology available to you then, that you do now? [Smiles] Well, the recording of Nirvana for Nevermind was actually really easy; we did the whole record in 16 days. They had rehearsed so much; they were super-tight, and they wanted to sound good. Everyone thinks Nirvana had a slacker mentality, but that’s not true at all – they wanted to make a great sounding record, and once Dave Grohl joined the band, they were just rock solid tight. The record went pretty fast; I would be in around noon, and they would come in at 2 pm, with everything ready to go. We would record, track a song, do a few overdubs, then take a dinner break, and then we’d work until 9 pm, and they’d go party, and I’d do a clean-up and maybe a vocal comp. Records now sometimes take three or four months, depending on who you’re working with. Was a lot of the record done live? It was all tracked live, and then I would go back, usually after we did a take, if Krist [Novoselic, bassist] missed a bass note or something, we’d punch it in and fix it; and then I’d usually get Kurt to double-track some of his guitars, and sometimes I’d go back and re-record his main guitar, or drop in a solo. In “Smells Like Teen Spirit,” I dropped in some little breaks and stuff. We only did rough vocals in Studio A [of LA’s Sound City Studios], and then the last three days, we went into Studio B and set up vocal mics. Kurt sang all his lead vocals there, except for maybe a couple, which we kept live, and Dave [Grohl] sang some harmonies. “Something In The Way” was the only song on the record that was overdubbed start to end; we started with Kurt’s guitar and vocal, then we’d add stuff on top of that. The album was very traditionally recorded, and every process that I’d done for the 10 years leading up to that was very au naturel; I’d get a band in the studio, tune their instruments, put good microphones in front of them, and make sure I got a good performance. What do you like to use for vocals? On the first couple of Garbage records, I used my vintage ELAM 250 mic, which is from 1959; I think it came from RCA studios in New York, and rumour has it that Elvis and Frank Sinatra used it at some point, which is pretty cool. It sounds great. Sometimes I would go through an API preamp, sometimes a Neve preamp; and then we put in a Trident A Range that we had. A lot of times, Shirley’s vocal would go through that. I used to use a Summit TLA 100 compressor – in fact, I’m actually looking at it right now in my home studio. I love that compressor! I also used it on Kurt Cobain and Dave Grohl. I like to hit the vocal pretty hard. Do you mix exclusively in the box, today? For the most part. Usually, everything ends up in Pro Tools, although we do also work with half-inch analog tape. With the Foo Fighters, the whole of their last record was an analog process, but I am not really that elitist about either; they both have great pluses and do great things, and there are also limitations to both. Young bands would love to record on tape, but it’s expensive, and they have no budgets at all these days; and with tape, you have to play really good, as you can’t cut and paste or quantize it; you can’t move things around or put it on a grid. As a musician, it’s a challenge, and that’s what I learned when I grew up, that performance was absolutely king. Has modern technology had a detrimental effect on some of today’s guitar bands? Well, a lot of bands are certainly smart to it; they know they can come in and get it close, then fix it, and make it perfect. When I hear a band on the radio that sounds really good, then I go and see them live, and they’re really sloppy, that bums me out a little bit. You know they’ve been manipulated in the studio. The great thing about digital technology, though, is people use it to do really cool things that you can’t do in a live environment. Every record does not need to sound au naturel, like a live band set up in a room. I mean, EDM artists, electronic bands, hip hop artists, even a lot of pop artists – they don’t care about a real drum kit; it’s a complete blend, and there are all sorts of different styles. You need digital technology to do that, and couldn’t necessarily recreate that live. 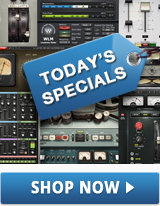 You use a lot of plug-ins today; how much has that changed the game for you? Plug-ins are leaps above what they were 10 years ago. People didn’t like the sound of plug-ins back then, and they had a point, as digital did not sound good. They’d use hardware, like an 1176, instead. Waves in particular uses a lot more sophisticated technology now to model the instruments, so when you pull up the plug-in, a lot of them sound exactly the same as the hardware units. Technology is continually getting better and better, and it’s now higher resolution, so there’s less digital distortion and phasing going on; to me, Waves plug-ins are so musical, and the whole digital realm is now much more musical, too. 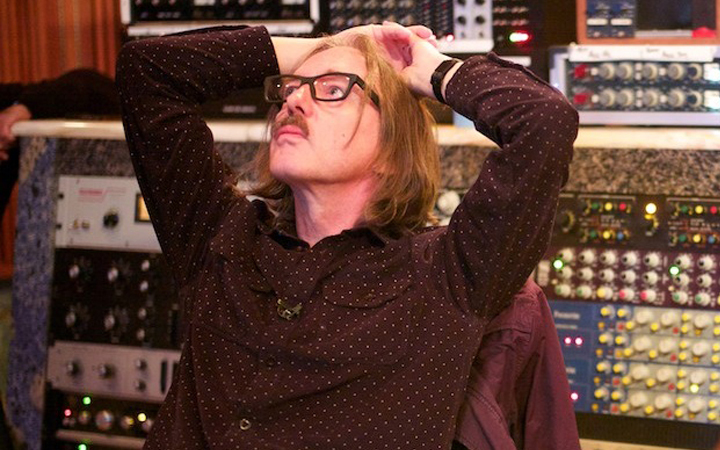 Well, let me pull up a session right now… [pauses] OK, I love that new Waves Reel ADT Double Tracking plug-in; I think that’s really cool, and I use it on guitars and vocals, and it sounds pretty awesome. I also like the API compressor too, and the 550A and 550B EQs, which are both really good, and sound a lot like the API, which I love. I am always using the Waves CLA-76 compressor, and the C4 compressor; and I’m a huge fan of the Renaissance Axx, especially on guitars – it’s great on electrics, but it’s absolutely phenomenal on acoustics; it’s a really nice, idiot-proof compressor – so straightforward to use. Also, something I call up all the time, especially when Shirley is doing her vocal in the studio, is the Waves RVOX. It works so well. For a fast compressor, you literally just put it on, and pull the threshold down, so it’s kicking down 4 or 5 dB, and the peaks are 6 dB, and it helps it sit right in the track. Again, it’s just really, really musical, as is all of the Waves kit. You wear two hats, really – producer and artist. Which one do you prefer? Well, in Garbage, I get to be a songwriter, a musician, and a producer… and a drummer, a guitar player, an arranger, and a bandmate! [Laughs] With the Foo Fighters, it’s my job to really focus on being a producer. It’s their music, their album and their vision; and it’s a completely different sort of head space, you know? When I’m working with Garbage, it’s all about artistically whatever direction I or the band feel like going in, but I have to remember as a producer, whether it’s the Foos or someone else, it’s all about trying to understand the band and what they are trying to accomplish. Many producers, especially pop producers, manufacture the artist, come up with the songs, and give them direction; they can become Svengalis – they control everything. I mean, that goes back to the bands of the ‘50s and ‘60s – they were pop machines, back then! That still happens today, but I have a tendency to work with bands that are self-contained and have their own vision, so I have to help them get there. What drives you the most? To me, the most exciting point is when the song is not necessarily finished, but when it’s kind of coming to completion. When the first lead vocal is done, I usually make a rough mix and burn a CD, then play it in the car over and over again – maybe 50 times over two or three days. At this point, I’m crazy in love with it, whether it’s Nirvana, The Smashing Pumpkins, or Garbage, it still happens all the time; and this is well before the record is done. That early state when a song becomes real – where it comes into its own being, and exists. In your head, you also start imagining what you can do with it, and what you’re going to add. When a song starts to fall into place, that’s my moment… And long may that continue! Headliner is a UK-based publication that supports the creative community, focusing on live performances, recording sessions, theater productions, and major broadcast events. The spotlight is on the technology, but with a lifestyle approach. Headliner editor Paul Watson has 10 years live touring experience with bands in the UK and the US, and ran an independent recording studio for five years close to London. He also serves as the editor for Europe of Live Sound International and ProSoundWeb.